Dreary days are made for a mommy meet up at The Fun Factory. 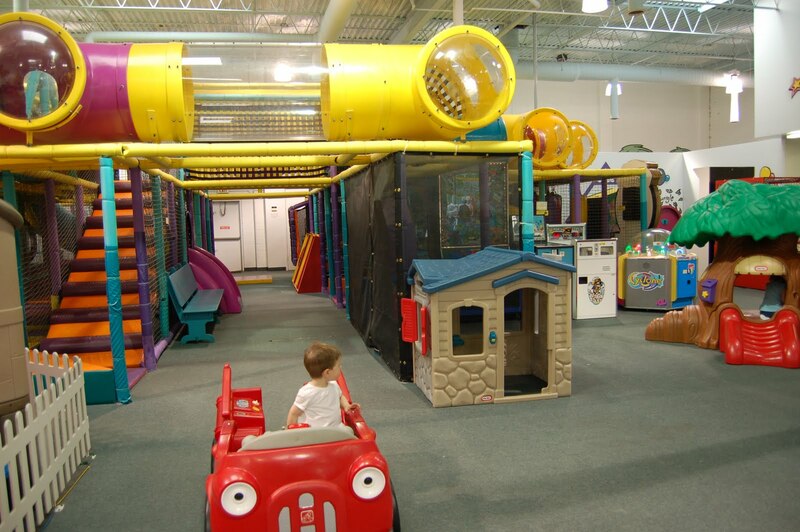 The 1,600-square-foot indoor playground has tons of fun activity areas for kids of all ages. 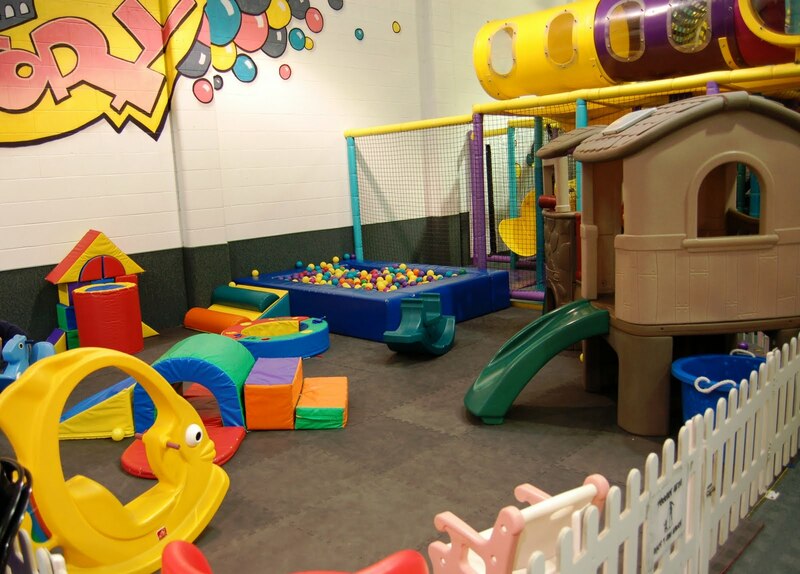 For your little ones, there is a gated area for ages 3 and under with bar-style seating along the perimeter -- perfect for observing play while enjoying a yummy lunch or a gourmet coffee. Outside of this area, there are also a few other play areas that are age-appropriate for little ones. As you walk in, your child will receive a wristband and you recieve a ticket. Everyone is scanned in and out for safety purposes. You will also remove your shoes, and socks are required for children and adults. Current hours are Monday through Thursday, 9 a.m. to 8 p.m., Friday and Saturday from 9 a.m. to 9 p.m. and Sundays 11 a.m. to 6 p.m. 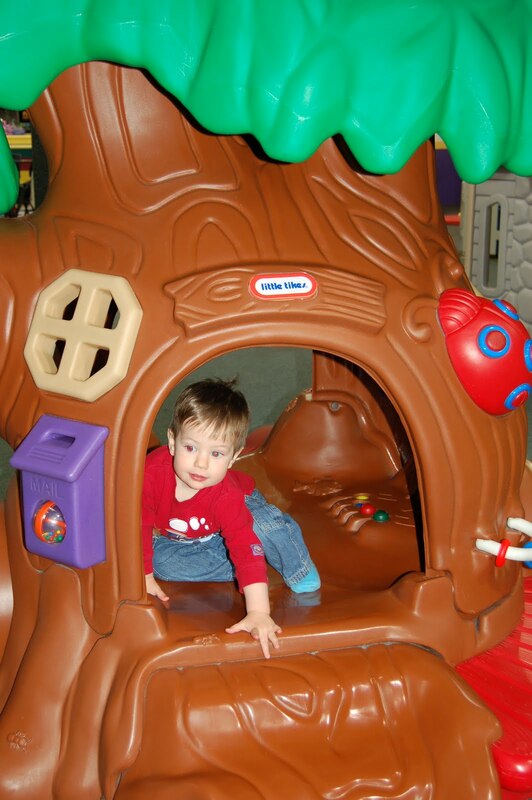 Adults and children under a year of age are free, ages 1 to 2 are $5.99 and ages 3 and up are $9.25. Every Wednesday, regular admission rates are $2 off. Sorry I left that useful tidbit out at first! Adults and children under a year of age are free, ages 1 to 2 are $5.99 and ages 3 and up are $9.25. On Wednesdays, regular admission rates are $2 off. Yes, parents are welcome to accompany their kids inside the toddler area.